The best of the year's Science Fiction and Fantasy stories as selected by the multiple award-winning editor Jonathan Strahan. DISTANT WORLDS, TIME TRAVEL, EPIC ADVENTURE, UNSEEN WONDERS AND MUCH MORE! 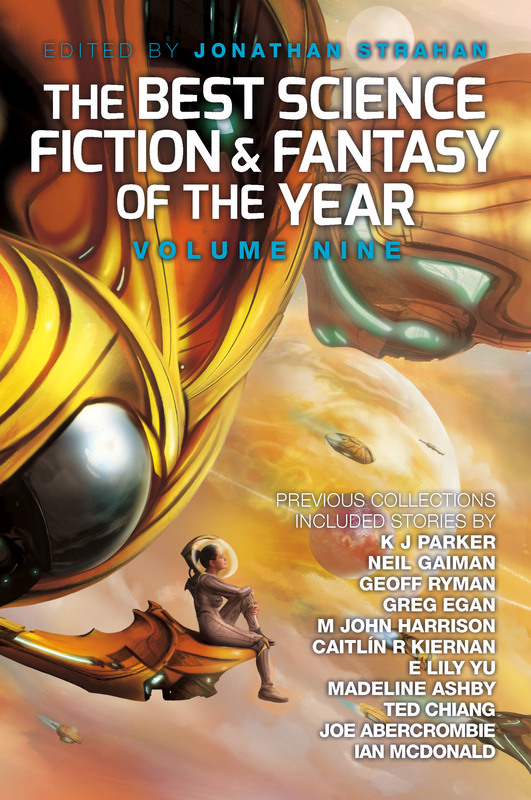 The best, most original and brightest science fiction and fantasy stories from around the globe from the past twelve months are brought together in one collection by multiple award winning editor Jonathan Strahan. This highly popular series now reaches volume nine and will include stories from both the biggest names in the field and the most exciting new talents. Previous volumes have included stories from Neil Gaiman, Stephen King, Cory Doctorow, Stephen Baxter, Elizabeth Bear, Joe Abercrombie, Paolo Bacigalupi, Holly Black, Garth Nix, Jeffrey Ford, Margo Lanagan, Bruce Sterling, Adam Robets, Ellen Klages, and many many more.